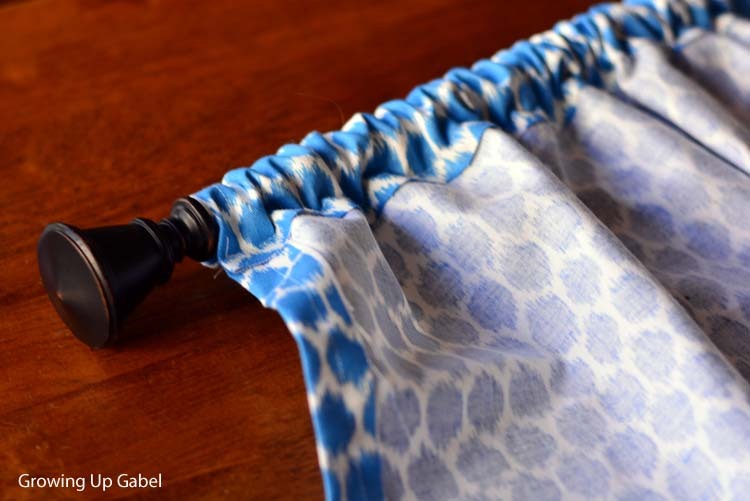 You won't believe how easy it is to sew a valance! 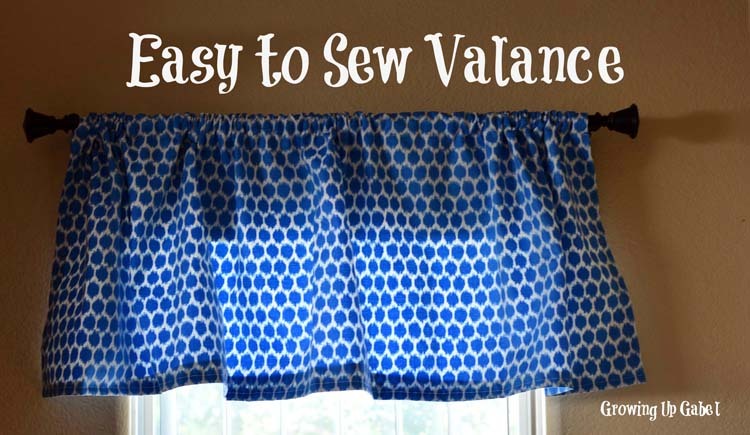 If you can cut, iron and sew a straight line, then you can make this valance! Thank you to Jo-Ann Fabric and Craft Stores for sponsoring this tutorial. Did you know that September is National Sewing Month? Fun! Well, any excuse to sew is fun in my book. In honor of National Sewing Month and the 90th anniversary of Waverly Fabrics, Waverly and Jo-Anns are sponsoring a Waverize It! Facebook Contest. In order to enter the contest, you sew a project with Waverly Fabric and upload photos of it to Facebook by September 22, 2013. In order to provide some inspiration, Waverly sent me two yards of fabric to create a fun sewing project! 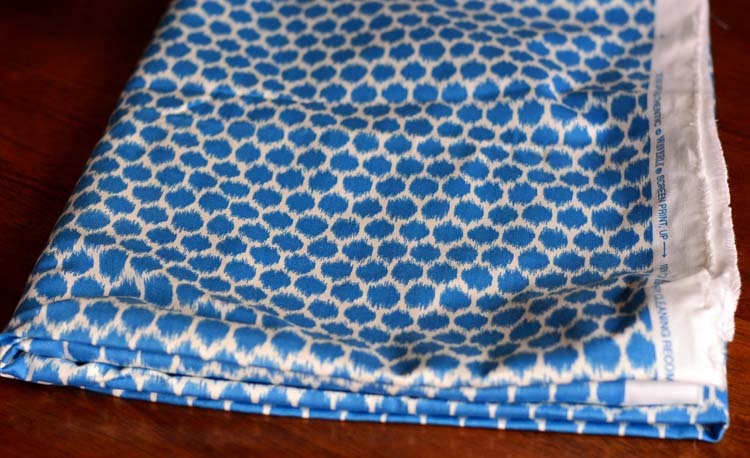 It took me a few weeks to decide what to do with this gorgeous fabric. But in the end, my bare dining room windows begged me to cover them with something pretty. After a bit of measuring folding, I determined that I could cover all four windows with the two yards. I really didn't think this whole winging it to make valances was going to work, but it did! The first thing I did was to cut the fabric in to 4 equal strips of fabric. I just folded in half and cut, folded each half in half and cut those. I did also trim the salvage ends. Precise, I am not, but it worked! Feel free to measure if want to. I then ironed down each short edge of the curtain to create a hem. I hemmed at about an inch or so. I had plenty of fabric so I definitely could have done more. I did the same with one long edge of the fabric. 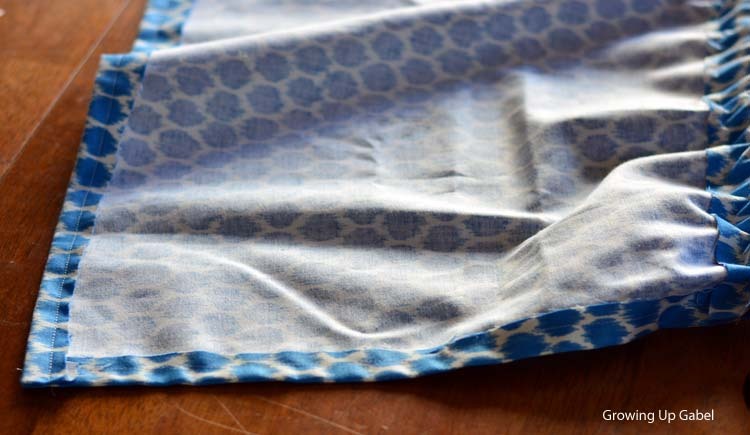 It didn't make a difference which end of the fabric it was on this print, but make sure to do the small hem on the bottom of the print. For the rod pocket, I just made sure to leave a few inches of fabric to create the fabric. I just folded it over to what looked like a good size and then pressed and sewed a straight seam. 1. Cut a 2 yard length of Waverly fabric in half and then cut the halves in half again. 2. Fold short ends in about an inch and press. Sew a seam. 3. Fold one long end up about an inch, press, and sew. 4. 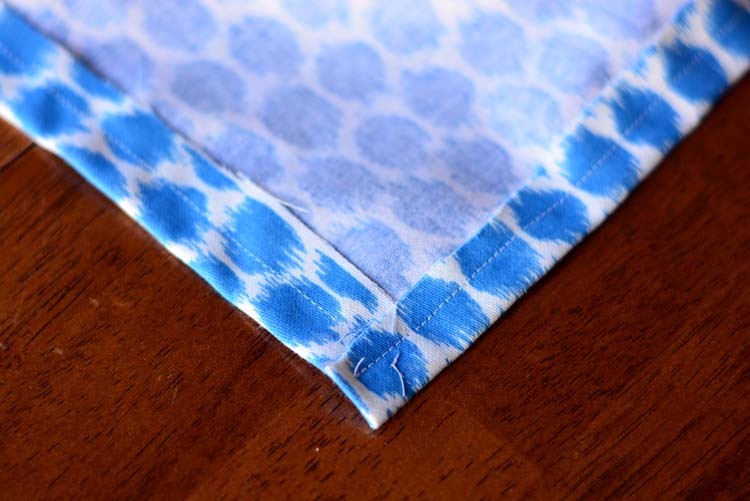 Fold the other long edge down about 2-3″, press and then sew. That's it! 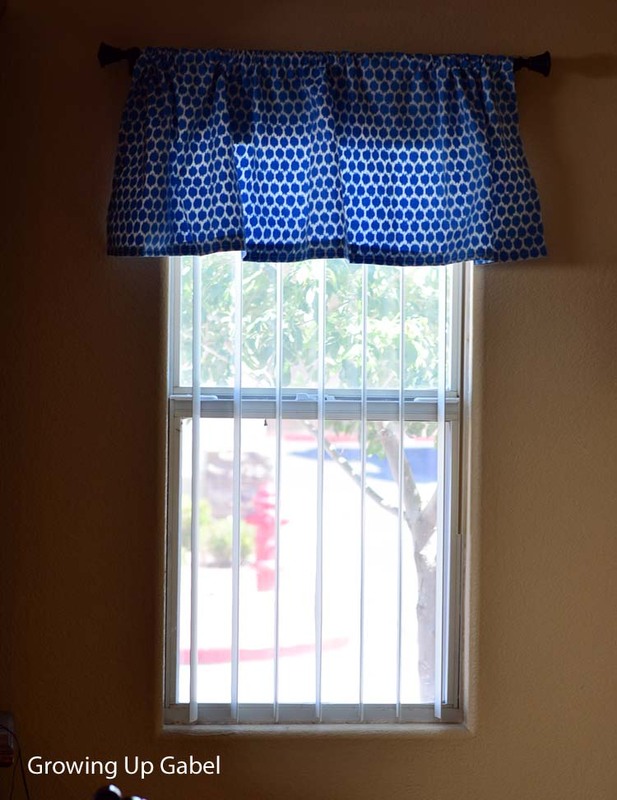 I didn't measure or pin and it took me longer to fight with the bobbin than it did to sew up a valance. I was quite honestly a little shocked at how easy these were and how well they turned out! 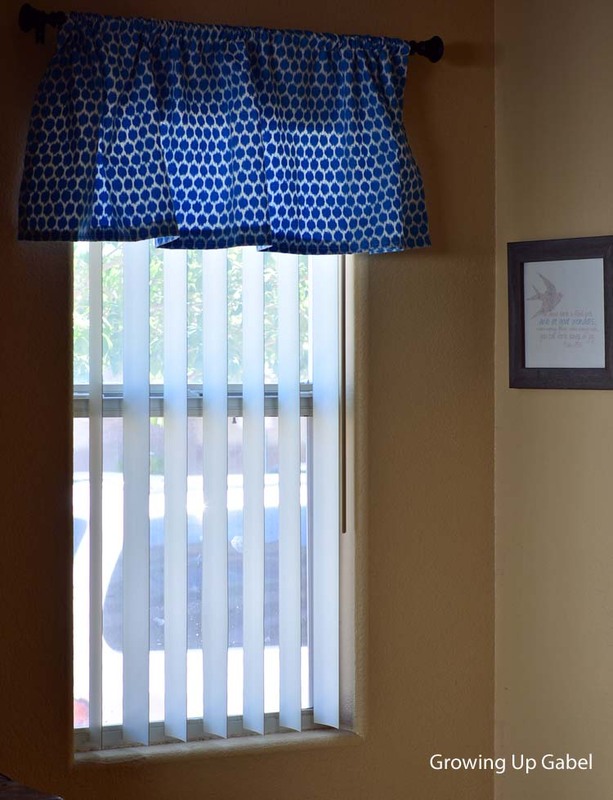 My windows are all small – about 23″ wide. But there was plenty of fabric here to do a wider window. So what are you going to make?! Don't forget to enter the Waverize It! Facebook Contest! That’s really cute! I need to do this for my windows.